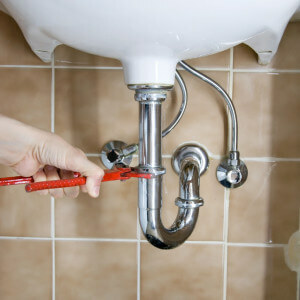 One of the most common plumbing repairs we see in San Diego are clogged drains. Whether you have a backed-up toilet or a tub or sink that will not drain properly, Black Mountain Plumbing, Inc., is the drain cleaning company to call. We are specialists at cleaning drains of all sorts, in both residential and commercial settings. We put quality customer support and workmanship first, for all San Diego drain cleaning tasks. One of the largest perks of hiring a plumber to clear blocked drains is that you can count on us to fix them promptly and effectively without causing more damage to your pipes or fixtures. If you need drain experts to come to your home or business, pick up the phone and call Black Mountain Plumbing, Inc.! We insist on top quality work from our plumbers and for several years ave received Super Service Awards for Drain Cleaning from Angie’s List. It is our goal to to provide our clients with the quickest and most feasible turn-around. If you need expert drain clearing quick– especially if your toilet is overflowing or you need emergency assistance for an additional major plumbing problem– we’ll get to you as soon as possible. When it involves clearing drains, you can trust our knowledgeable San Diego plumbers to work efficiently to offer you effective results. One of the major methods we use when cleaning drains is a procedure called hydro-jetting. Black Mountain Plumbing has the ability to blow up away accumulated particles and sludge in your pipes, removing even the most stubborn blockages and clogs. If a drain snaking is not able to remove a drain blockage, hydro-jet cleaning might be your best option. Clear drains are important throughout your plumbing system. Nevertheless, a clogged up or overruning toilet can be very undesirable to deal with and to remove. Black Mountain Plumbing’s sewer and drain cleaning experts can get your sewer lines moving effortlessly once again. We also clear tree roots that are working their way into your sewer lines and blocking circulation. Our rooter services offer efficient solutions for sewer cleaning, so call our experts to get your pipes cleaned and clogs removed! To learn more regarding the work we do unclogging drains in all kind of environments, get in touch with Black Mountain Plumbing, Inc, today! We’ll be happy to offer you a free price estimate, as well as a breakdown of our different drain maintenance and service warranty offerings. We intend to be your first and only option for drain repair.